If you were given five minutes to get out of your house in an emergency, what would you do? 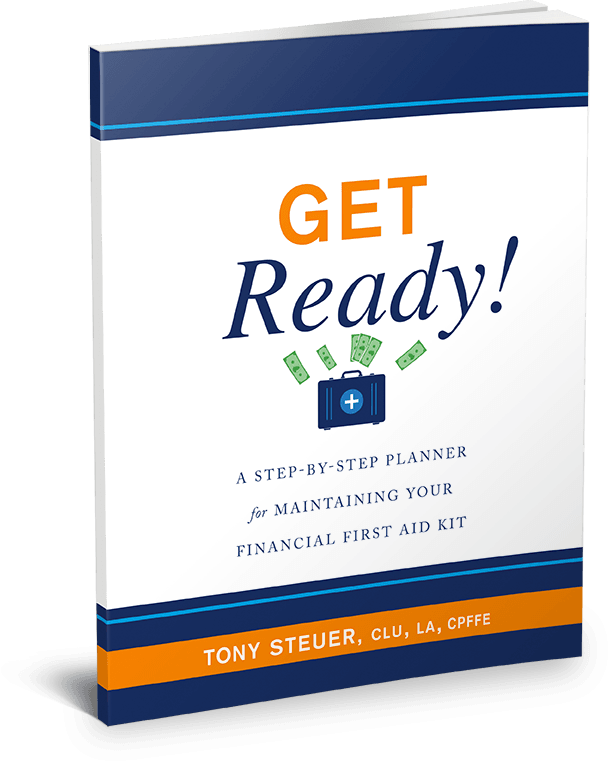 A recognized authority on financial literacy, Tony Steuer, author of GET READY! A Step-by-Step Planner for Maintaining Your Financial First-Aid Kit, is on a mission to help every household create a plan of action in the event of an emergency in 2019. Another critical list item is the GET READY! planner, a binder with all of your financial information in one place. Putting the planner together is GET READY!’s underlying theme.